Q.2 Which of the following experiments have equally likely outcomes? Explain. (i) A driver attempts to start a car. The car starts or does not start. (ii) A player attempts to shoot a basketball. She/he shoots or misses the shot. (iii) A trial is made to answer a true-false question. The answer is right or wrong. (iv) A baby is born. It is a boy or a girl. Sol. (i) In the experiment “A driver attempts to start a car. The car starts or does not start”, we are not justified to assume that each outcome is as likely to occur as the other. Thus, the experiment has no equally likely outcomes. (ii) In the experiment “A player attempts to shoot a basket ball. She/he shoots or misses the shot”, we are not justified to assume that each outcome is as likely to occur as the other. Thus, the experiment has no equally likely outcomes. (iii) In the experiment “A trial is made to answer a true-false question. The answer is right or wrong. We know, in advance, that the result can lead in one of the two possible ways — either right or wrong. We can reasonably assume that each outcome, right or wrong, is likely to occur as the other. Thus, the outcomes right or wrong, are equally likely. (iv) In the experiment “A baby is born. It is a boy or a girl”. We know, in advance, that the outcome can lead in one of two possible outcome — either a boy or a girl. We are justified to assume that each outcome, boy or girl, is likely to occur as the other. Thus, the outcomes boy or girl, are equally likely. 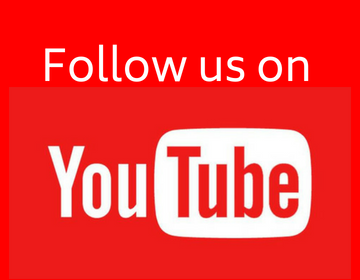 Q.3 Why is tossing a coin considered to be a fair way of deciding which team should get the ball at the beginning of a football game? Sol. The tossing of a coin is considered to be a fair way of deciding which team should get the ball at the beginning of a football game as we know that the tossing of the coin only land in one of two possible ways — either head up or tail up. It can reasonably be assumed that each outcome, head or tail, is as likely to occur as the other, i.e., the outcomes head and tail are equally likely, So, the result of the tossing of a coin is completely unpredictable. Q.4 Which of the following cannot be the probability of an even? Therefore, –1.5 cannot be the probability of an event. Therefore, (B) is the correct answer. Q.5 IF P(F) = 0.05, what is the probability of ‘not E’? (i) an orange flavoured candy ? (ii) a lemon flavoured candy ? Sol. (i) Consider the event related to the experiment of taking out of an orange flavoured candy from a bag containing only lemon flavoured candies. Since no outcome gives an orange flavoured candy, therefore, it is an impossible event so its probability is 0. (ii) Consider the event of taking a lemon flavoured candy out of a bag containing only lemon flavoured candies. This event is a certain event so its probability is 1. Q.7 It is given that in a group of 3 students, the probability of 2 student not having the same birthday is 0.992. What is the probability that the 2 students have the same birthday? Hence, the probability that the 2 students have the same birthday is 0.008. Q.8 A bag contains 3 red balls and 5 black balls. A ball is drawn at random from the bag. What is the probability that the ball drawn is : (i) red? (ii) not red? Sol. There are 3 + 5 = 8 balls in a bag. Out of these 8 balls, one can be chosen in 8 ways. (i) Since the bag contains 3 red balls, therefore, one red ball can be drawn in 3 ways. (ii) Since the bag contains 5 black balls along with 3 red ball, therefore, one black (not red) ball can be drawn in 5 ways. Hence, P(not getting a red ball) = . (i) red ? (ii) white ? (iii) not green ? (ii) There are 8 white marbles in the box. (iii) There are 5 + 8 = 13 marbles which are not green in the box. 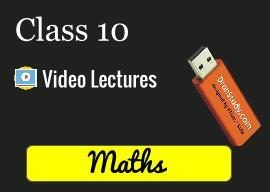 Q.10 A piggy bank contains hundred 50 p coins, fifty Re 1 coins, twenty Rs 2 coins and ten Rs 5 coins, If it is equally likely that one of the coins will fall out when the bank is turned upside down, what is the probability that the coin (i) will be a 50 p coin ? (ii) will not be a Rs 5 coin ? (i) There are one hundred 50 paise coins in the piggy bank. (ii) There are 100 + 50 + 20,i.e., 170 coins other than Rs 5 coin. 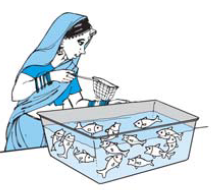 Q.11 Gopi buys a fish from a shop for his aquarium. The shopkeeper takes out one fish at random from a tank containing 5 male fishes and 8 females fishes (see fig.). What is the probability that the fish taken out is a male fish? There are 5 male fishes in the tank. (i) 8 ? (ii) an odd number ? (iii) a number greater than 2 ? (iv) a number less than 9? Sol. Out of 8 numbers, an arrow can point any of the numbers in 8 ways. Hence, P(arrow points at a number < 9) = = 1. Sol. 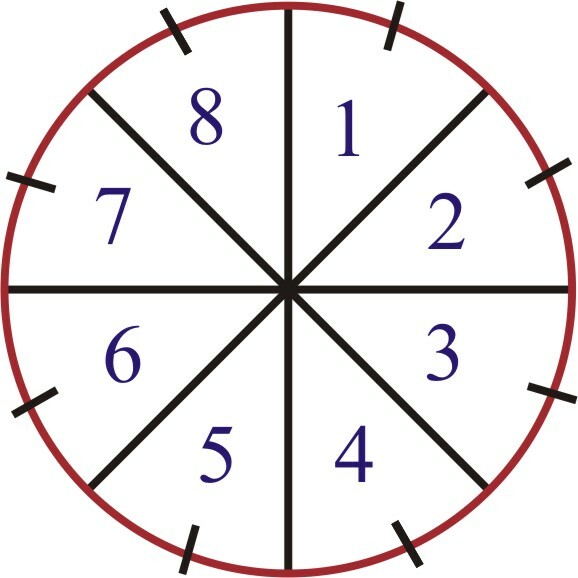 In a single throw of a die we can get any one of the six numbers 1, 2, …..,6 marked on its six faces. 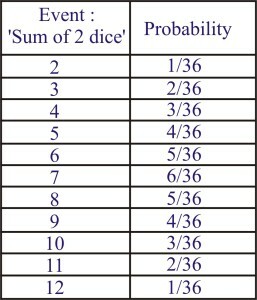 Therefore, the total number of elementary events associated with the random experiment of throwing a die is 6. (i) Let A denotes the event “Getting a prime number”.Clearly, event A occurs if we obtain any one of 2, 3, 5 as an outcome. Therefore, Favourable number of elementary events = 3 Hence, P(A) = . (i) There are two suits of red cards viz. diamond and heart. Each suit contains one king. (iii) There are two suits of red cards viz. diamond and heart. Each suit contains 3 face cards. (v) There are 13 cards of spade. (vi) There is only one queen of diamonds. Hence, P(the queen of diamonds) = . Q.15 Five cards – the ten, jack, queen, king and ace of diamonds, are well – shuffled with their face downwards. One card is then picked up at random. (i) What is the probability that the card is the queen? (ii) If the queen is drawn and put aside, what is the probability that the second card picked up is (a) an ace? (b) a queen? (i) There is only one queen. (ii) After keeping the queen card aside, we are left with 4 cards. So total number of elementary events now = 4. (b) There is no card as queen. Hence, P(the queen) = = 0. Q.16 12 defective pens are accidentally mixed with 132 good ones. It is not possible to just look at a pen and tell whether or not it is defective. One pen is taken out at random from this lot. 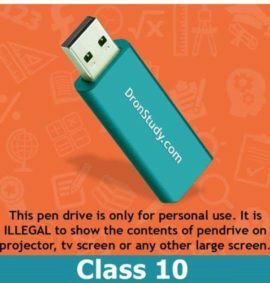 Determine the probability that the pen taken out is a good one. Sol. Out of 132 + 12, i.e., 144 pens, one pen can be chosen in 144 ways. There are 132 non-defective i.e., good pens out of which one pen can be chosen in 132 ways. Q.17 (i) A lot of 20 bulbs contains 4 defective ones. One bulb is drawn at random from the lot. What is the probability that this bulb is defective? (ii) Suppose the bulb drawn in (i) is not defective and is not replaced. Now one bulb is drawn at random from the rest. What is the probability that this bulb is not defective? Sol. (i) Out of 20 bulbs one bulb can be chosen in 20 ways. There are 4 defective bulbs out of which one bulb can be chosen in 4 ways. (ii) On drawing a non-defective bulb out of 20 bulbs we are left with 19 bulbs including 4 defective bulbs. There are 19 – 4 = 15 non-defective bulbs out of which one bulb can be drawn in 15 ways. Q.18 A box contains 90 discs which are numbered from 1 to 90. If one disc is drawn at random from the box, find the probability that it bears (i) a two- digit number (ii) a perfect square number (iii) a number divisible by 5. Sol. There are 90 discs bearing numbers 1 to 90 in the box of which one disc can be drawn in 90 ways . Hence, P(getting a disc bearing a two-digit number) = . (ii) Those numbers from 1 to 90 which are perfect squares are 1, 4, 9, 16, 25, 36, 49, 64, 81, i.e., squares of 1, 2, 3, 4, 5, 6, 7, 8, and 9 respectively. 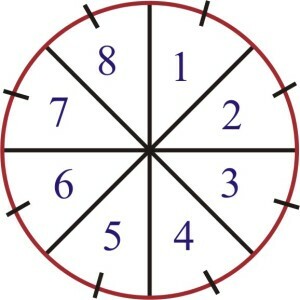 Therefore, there are 9 discs marked with numbers which are perfect squares. (iii) Those numbers from 1 to 90 which are divisible by 5 are 5, 10, 15, 20, 25, 30, 35, 40, 45, 50, 55, 60, 65, 70, 75, 80, 85, and 90. They are 18 in number. Therefore, there are 18 discs marked with the numbers which are divisible by 5. (i) A ? (ii) D ? Sol. In a single throw of a die we can get any one of the six letters A, B, C, D, E, A marked on its faces. 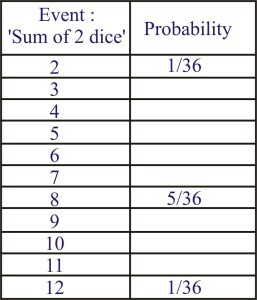 Therefore, the total numbers of elementary events associated with the random experiment of throwing a die is 6. (i) Let E denotes the event “Getting a letter A” Clearly, event E occurs on the two faces. (ii) Let E denote the event “Getting a letter D”. Clearly event E occurs on the two face. Q.20 Suppose you drop a die at random on the rectangular region shown in the figure given on the next page. 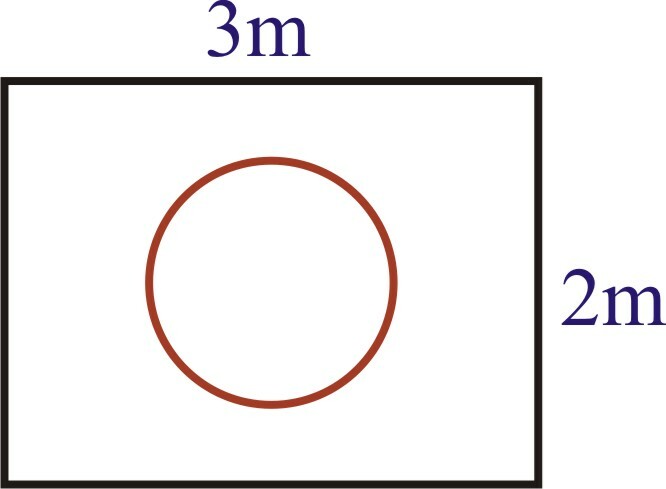 What is the probability that it will land inside the circle with diameter 1 m? Sol. There is a lot of 144 ball pens. Out of these 144 ball pens 20 are defective ball pens. Q.22 Refer to Example 13. 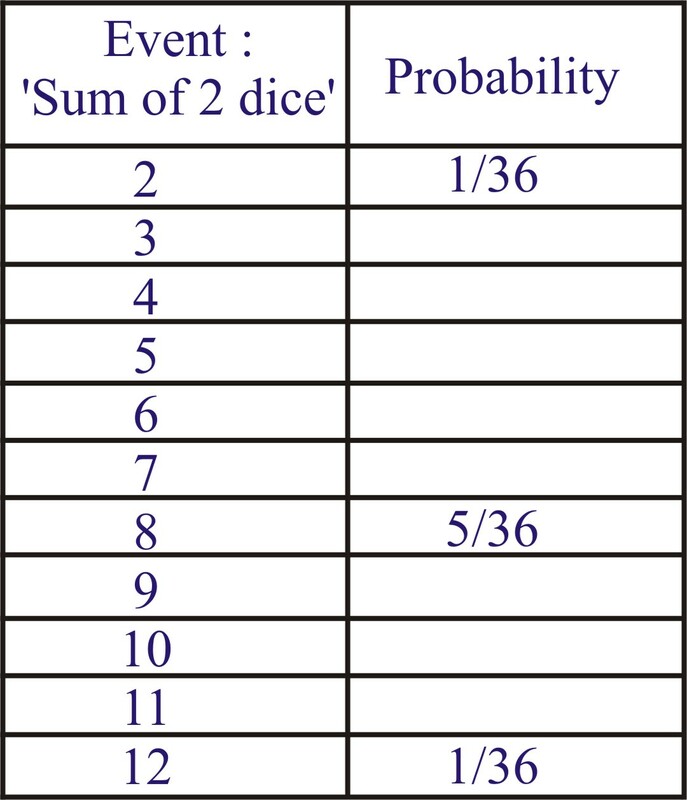 (ii) A student argues that ‘there are 11 possible outcomes 2, 3, 4, 5, 6, 7, 8, 9, 10, 11 and 12. Therefore, each of them has a probability . Do you agree with this argument? Justify your answer. Let A be the event of getting the sum as 3. Let A be the event of getting the sum as 4. Let A be the event of getting the sum as 5. Let A be the event of getting the sum as 6. Let A be the event of getting the sum as 7. Let A be the event of getting the sum as 9. Let A be the event of getting the sum as 10. Let A be the event of getting the sum as 11. (ii) I do not agree with the argument given here. Justification has already been given in part (i). Q.23 A game consists of tossing a one rupee coin 3 times and noting its outcome each time. Hanif wins if all the tosses give the same result, i.e., three heads or three tails, and loses otherwise. Calculate the probability that Hanif will lose the game. Hinif will lose the game if he gets HHT, HTH, THH, TTH, HTT, THT. (i) 5 will not come up either time? (ii) 5 will come up at least once? Sol. (i) Consider the following events. (ii) Let S be the sample space associated with the random experiment of throwing a die twice. Q.25 Which of the following arguments are correct and which are not correct? Give reasons for your answer. (i) If two cons are tossed simultaneously there are three possible outcomes — tow heads, two tails or one of each. Therefore, for each of these outcomes, the probability is . 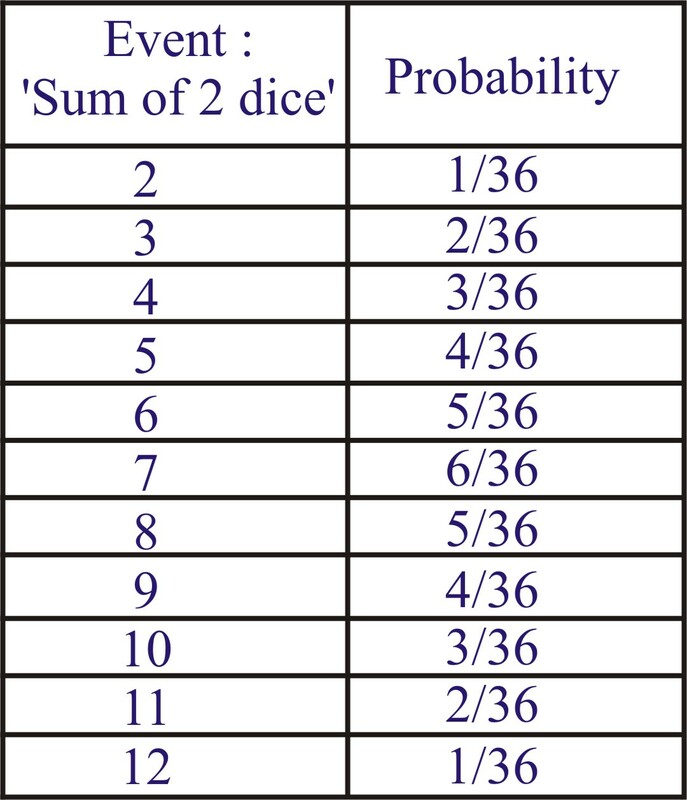 (ii) If a die is thrown, there are two possible outcomes — an odd number or an even number. Therefore, the probability of getting an odd number is . Sol. (i) Incorrect. We can classify the outcomes like this but they are not then, ‘equally likely’ . Reason is that ‘one of each’ can result in two ways — from a head on first coin and tail on the second coin or from a tail on the first coin and head on the second coin. This makes it twice as likely as two heads (or two tails). (ii) Correct. The two outcomes considered in the question are equally likely.